Submitted by Christopher Duggan Photography. Originally published on March 6, 2018. 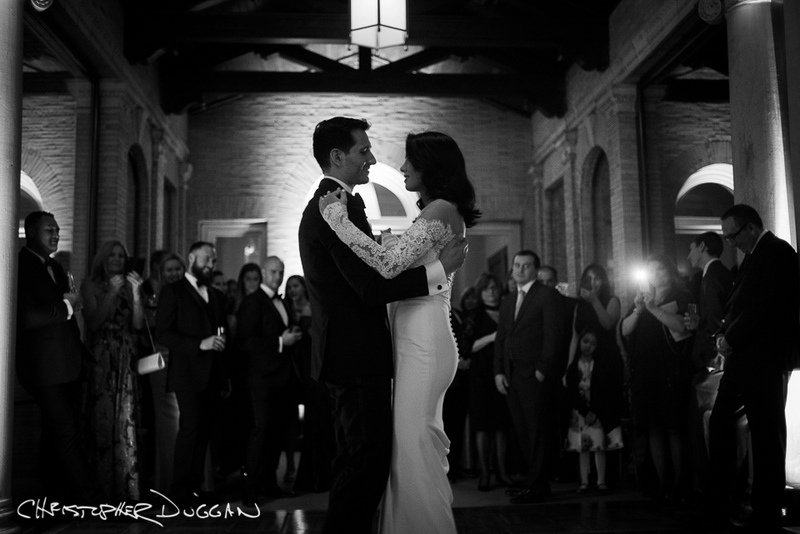 A word from the photographer: Savana and Justin were married at The Wheatleigh, a world-class hotel in the Berkshires. It’s such a gorgeous, elegant place. My creative team has photographed weddings at The Wheatleigh before, but this was my first time photographing there. Savana looked gorgeous, and Justin is very handsome. She wore two different dresses, and he had two different suits. They were surrounded by loving family and friends, including a few nieces and a nephew that just brought that special magic and joy that children do at a wedding. Savana’s sister made the cake! It was so ornate and incredible. I was impressed. The couple had about 60 people and they all sat at one long table. It was very elegant. I love their taste! Working with DJ Rob Alberti was a delight—easy to work with, super professional. And Marc, who runs Wheatleigh, is just fantastic. It’s so great having a team of people that know each other and work so well together! The whole wedding was classy and fun and I had such a good time. Congratulations, Savana and Justin!